I recently picked up a fantastic book written by an author I greatly admire. The hero and heroine were both fantastic and the love story was beautiful. After the two overcame sufficient odds to be together, the heroine died toward the end of the book. Some friends and I talked about the how much we all hate the lack of a happily ever after for characters we’ve invested in. It’s different if there’s foreshadowing in the beginning that all will not end well for the couple. When it comes out of the blue, it’s hard not to feel cheated. 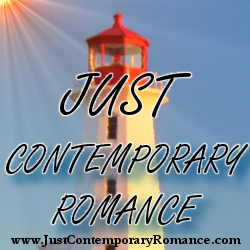 Wanting a happy ending is one of the reasons that I write as well as read contemporary love stories. I want to know that the characters I love are going to be just fine when I get to the last page. My recently released novel, Stealing the Groom has that happily ever after as well as plenty of humor. Suddenly, with Amelia living in her handsome husband’s home—in his bedroom, no less—she starts to reconsider their platonic arrangement. But Chad’s always been strictly anti-risk and definitely anti-love, and betting a lifetime of best friendship on the chance at forever might be the biggest gamble of all. Author Bio: Sonya loves writing all things romance whether it’s writing contemporary adult or teen fiction and still hasn’t lost the wonder that she gets to do what she loves. She enjoys reading, movies, chocolate, and laughter and credits her daughters as being the sweetest blessings in her life.